If you are seeking for a unique experience while in Dubrovnik you should definitely take part in one of many sea kayaking tours. These tours are perfect for viewing the city walls from the sea-side as well as exploring the secrets of the nearby island of Lokrum. Sea kayaking tours usually start from Pile Park beach where you will meet your guides and receive equipment (sea kayaks, paddles, lifejackets, waterproof barrels, masks, snorkels). Your guides will also give you a short explanation of the basics of kayaking as well as safety instructions. Each kayak has a waterproof barrel where you can place all your belongings during the tour. These kind of tours are suitable for everybody - from children to seniors. Tours are available throughout the day and you can choose from morning, afternoon or even sunset sea kayaking tour. First, you will paddle beneath the city walls while enjoying amazing views of the city from the sea-side. Next, you continue paddling towards the island of Lokrum where you will explore hidden caves and beaches. After paddling around the island you will head to Betina cave - beautiful cave beach accessible only from the sea-side. Here you will have a break for swimming, snorkeling and sunbathing while having a refreshing snack. 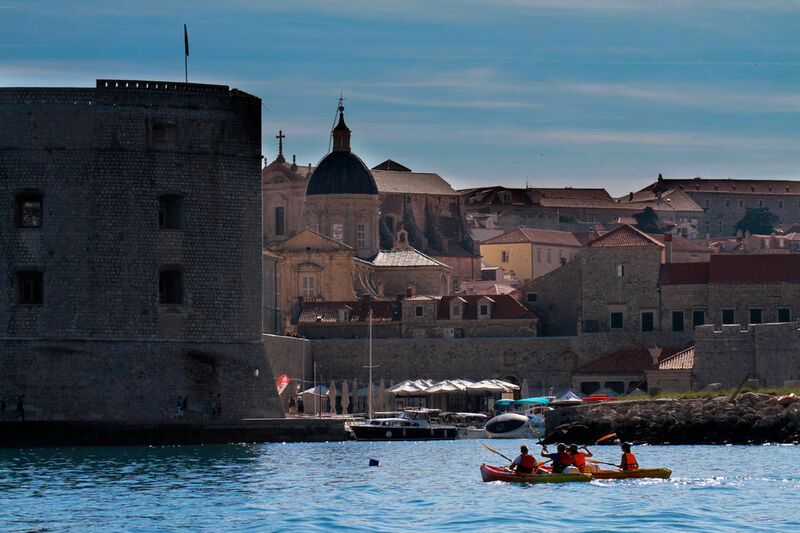 On your way back you will paddle along the Old Harbour and impressive city walls while your guide reveal the secrets of Dubrovnik's history.